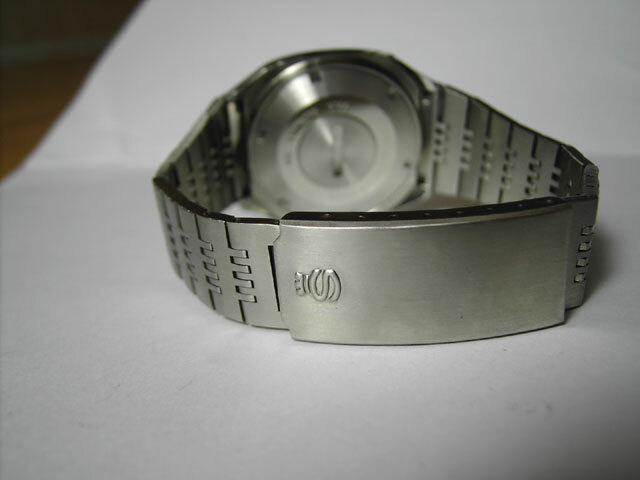 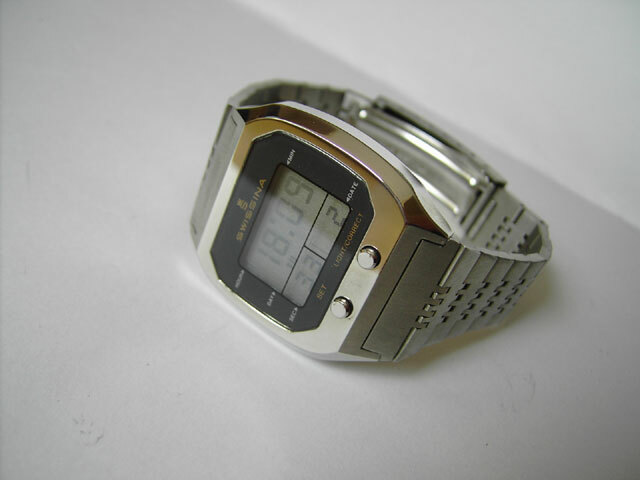 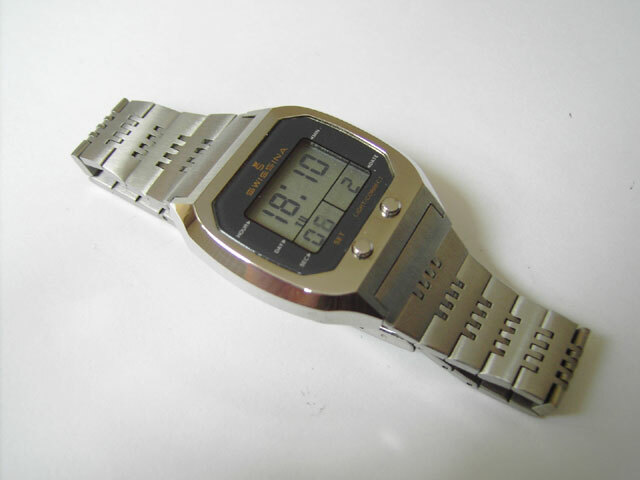 similar to this by Seiko listed in the Peter Doensen book…. 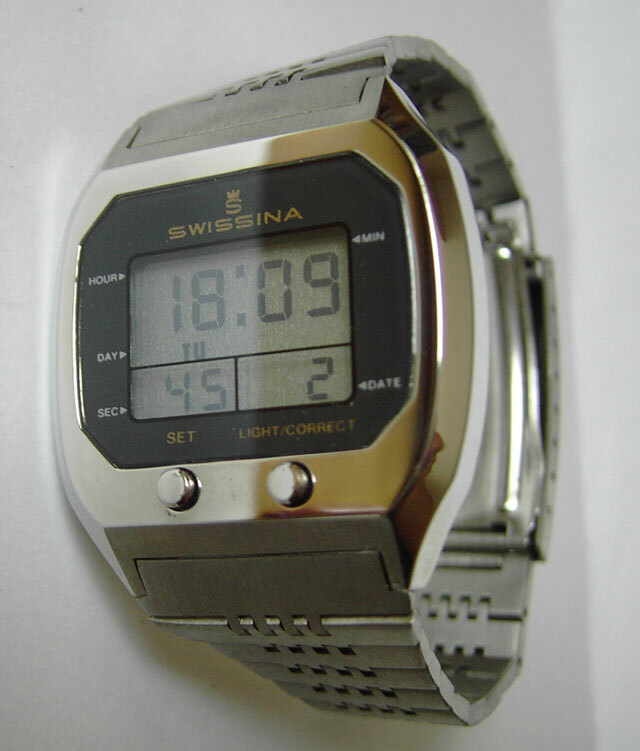 Good watch, good price, this watch is one of the coolest ones I’ve had for a while. 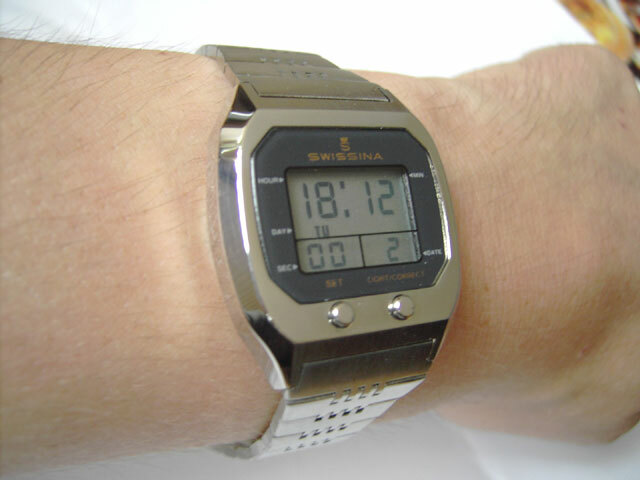 WOW!, Swissina.., in these days Swiss made vintage LCD watch is very rare, it gives a look of early 70s Seiko LCD Watches but i bet it is more reliable then Seiko. 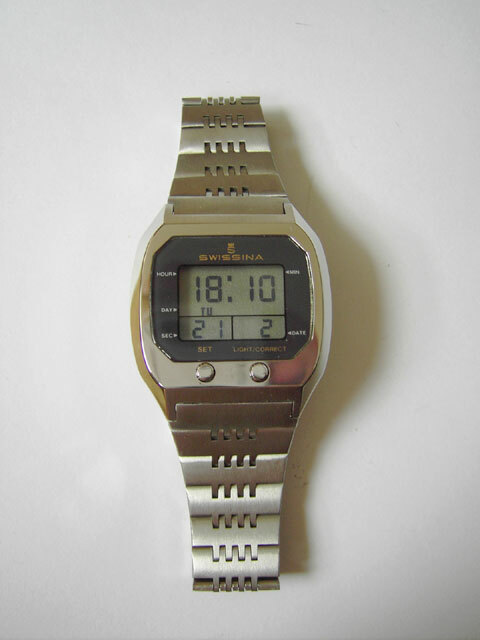 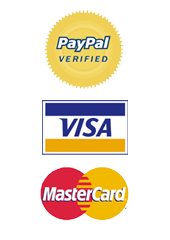 and also have unique LCD display.